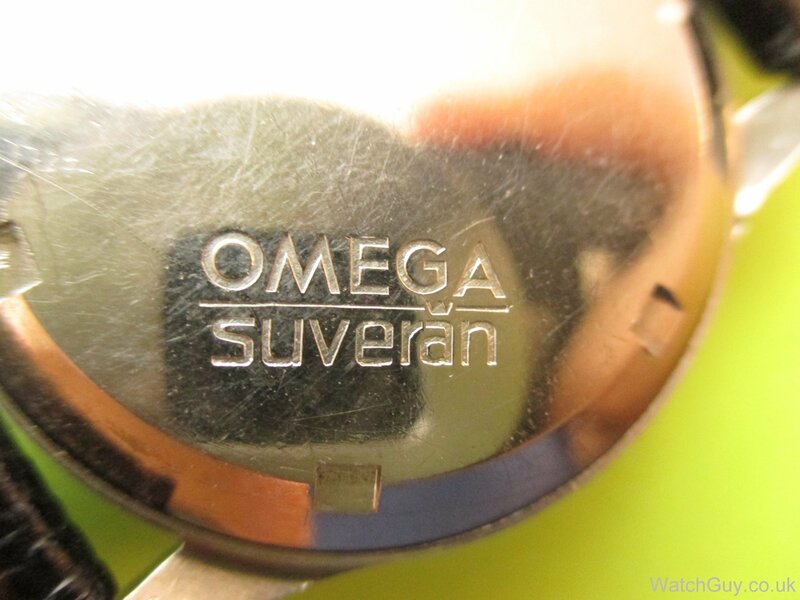 Service: Omega Suverän calibre 30T2 PC. 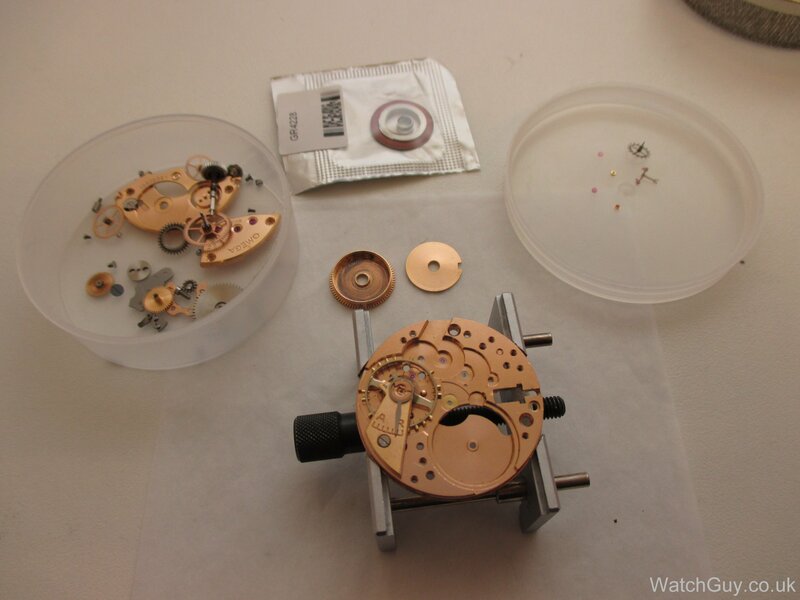 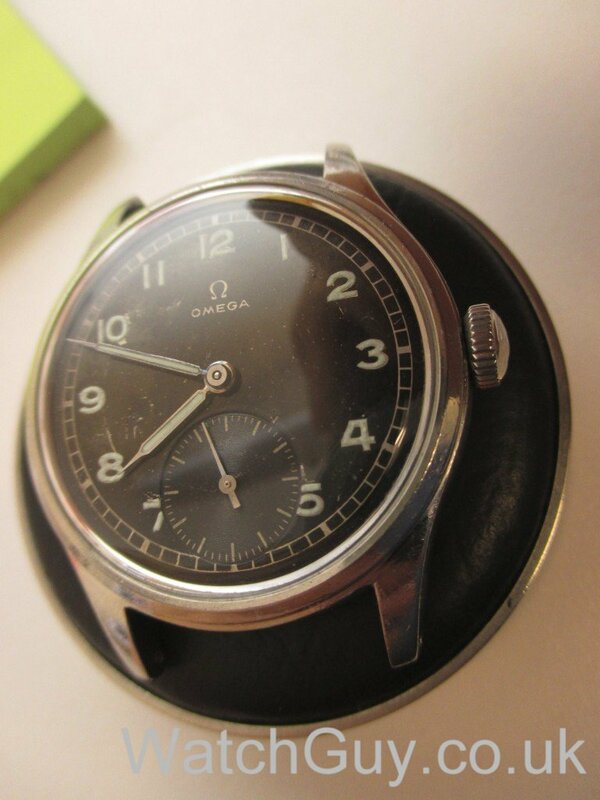 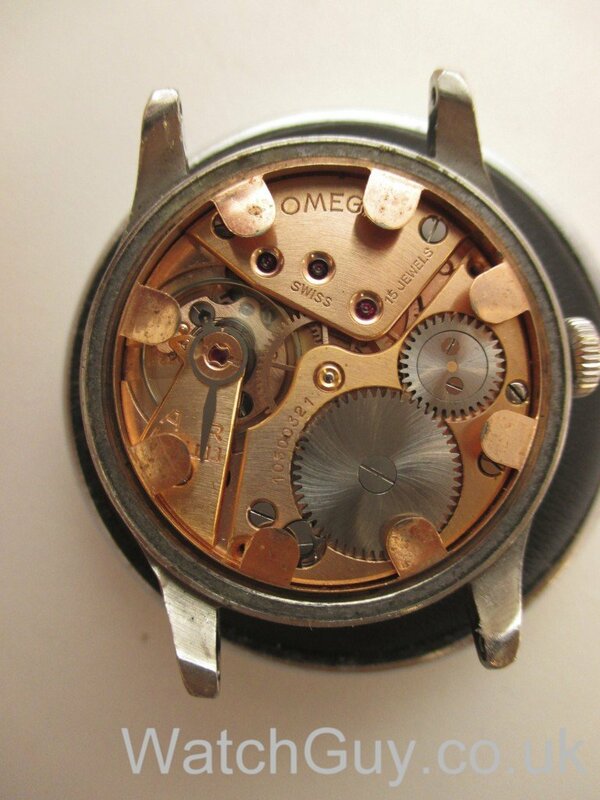 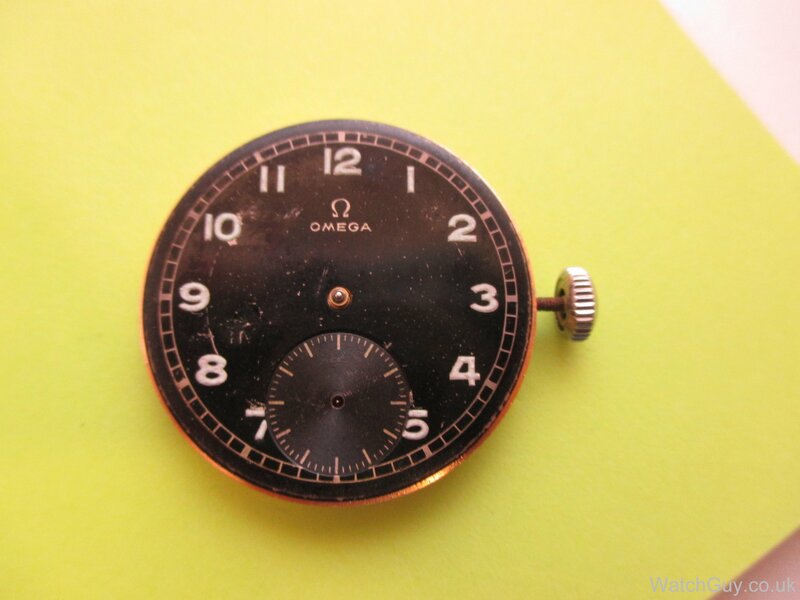 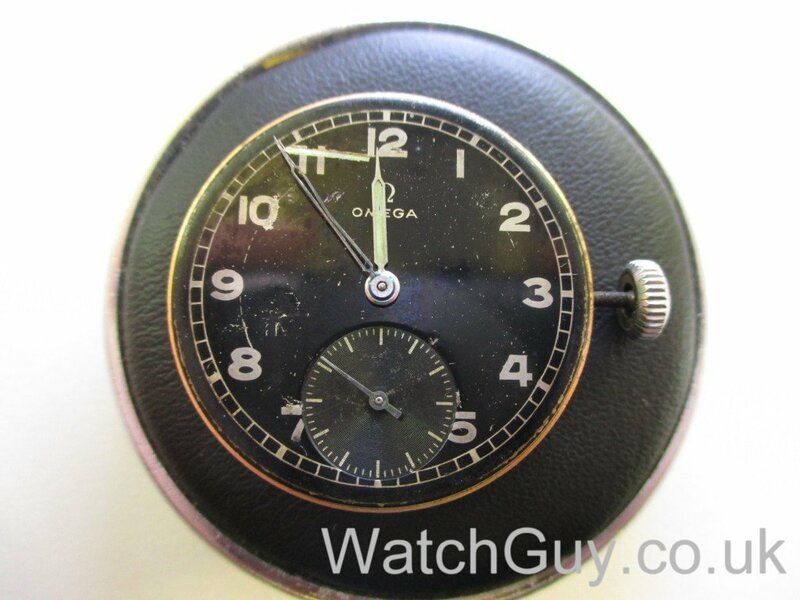 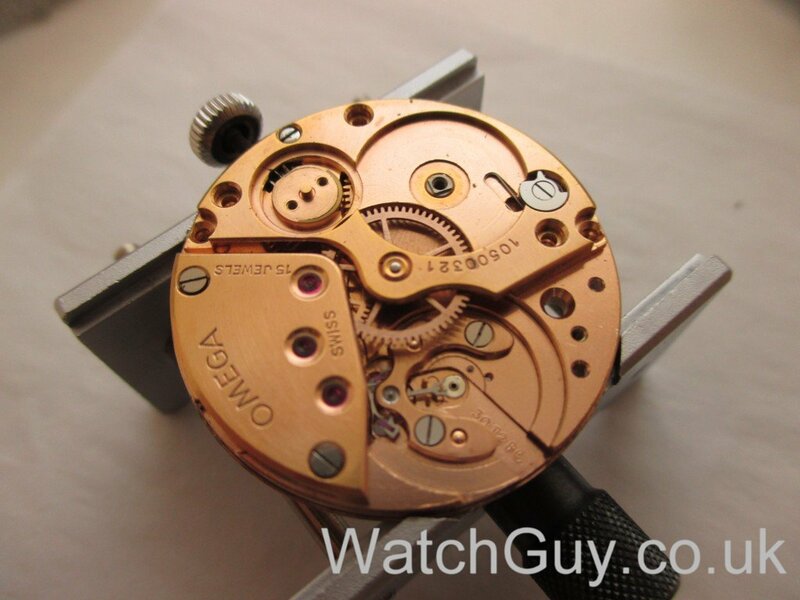 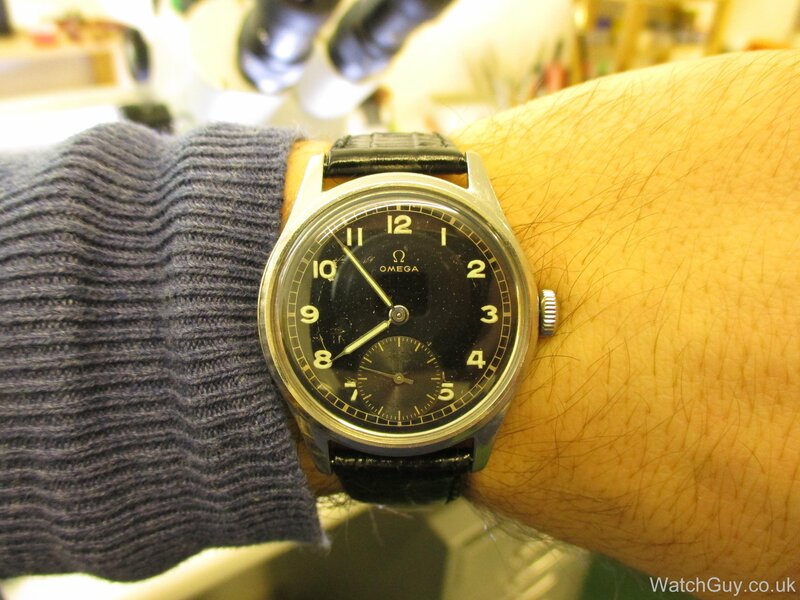 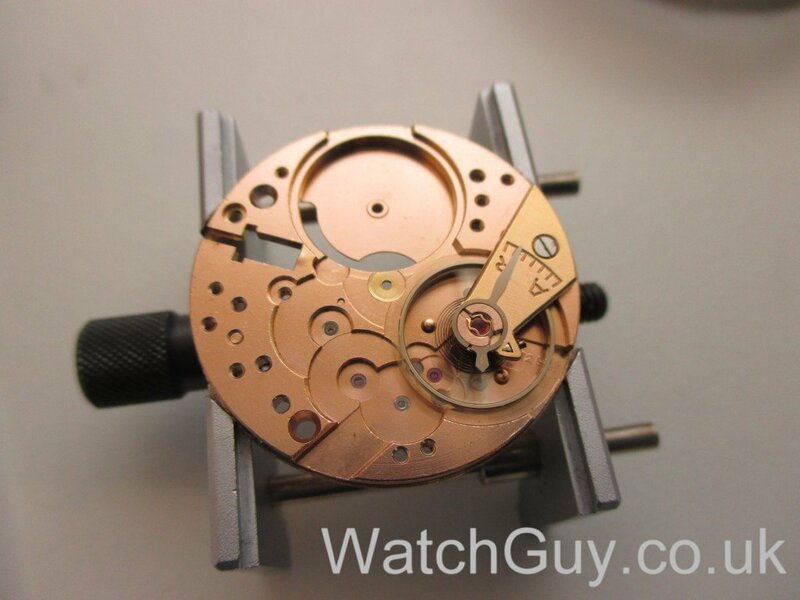 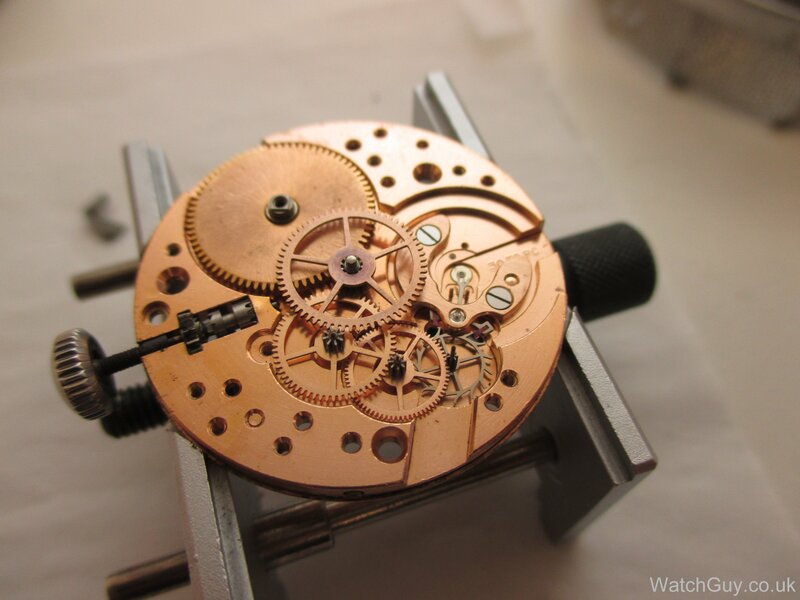 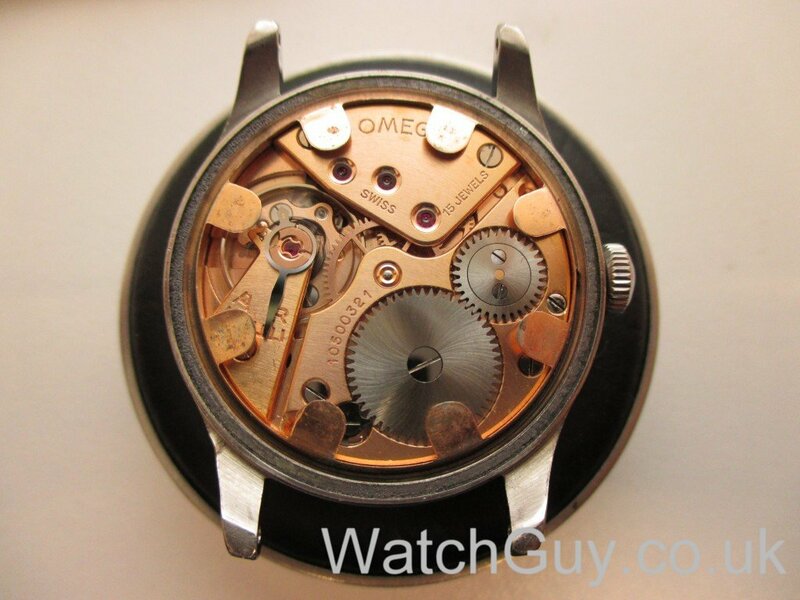 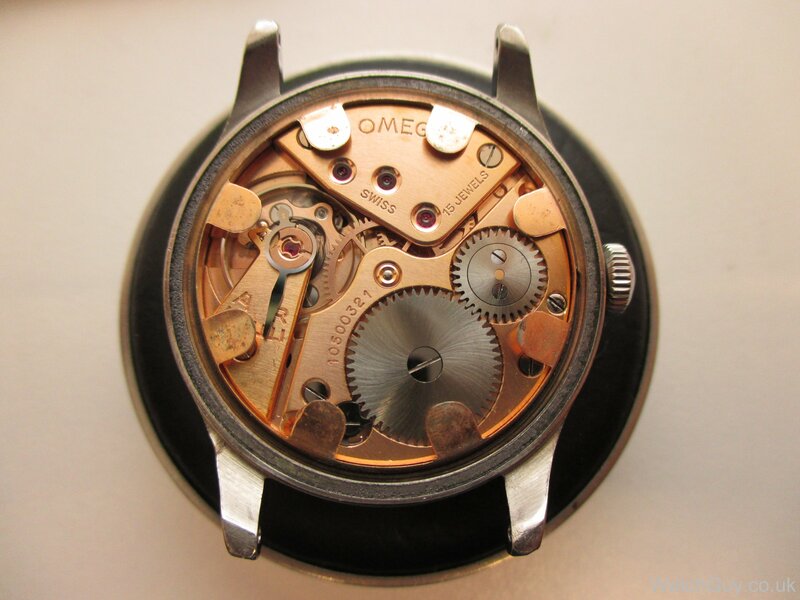 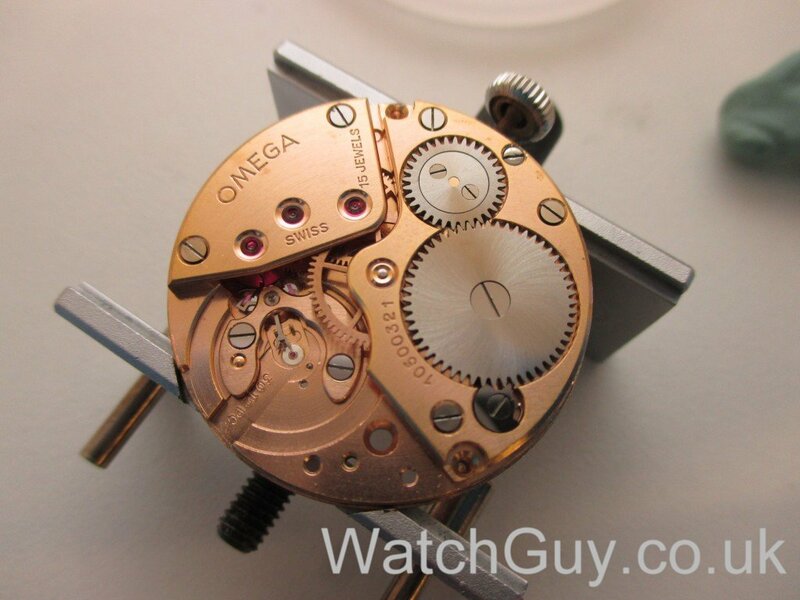 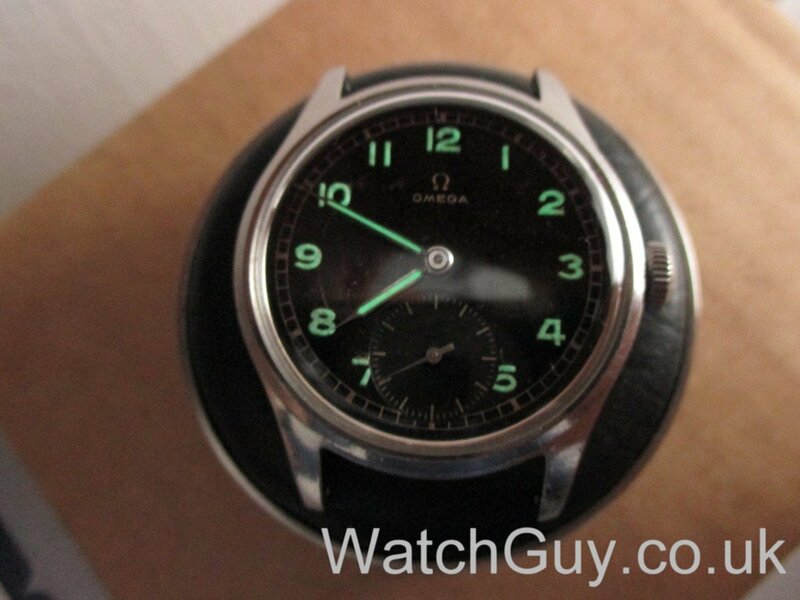 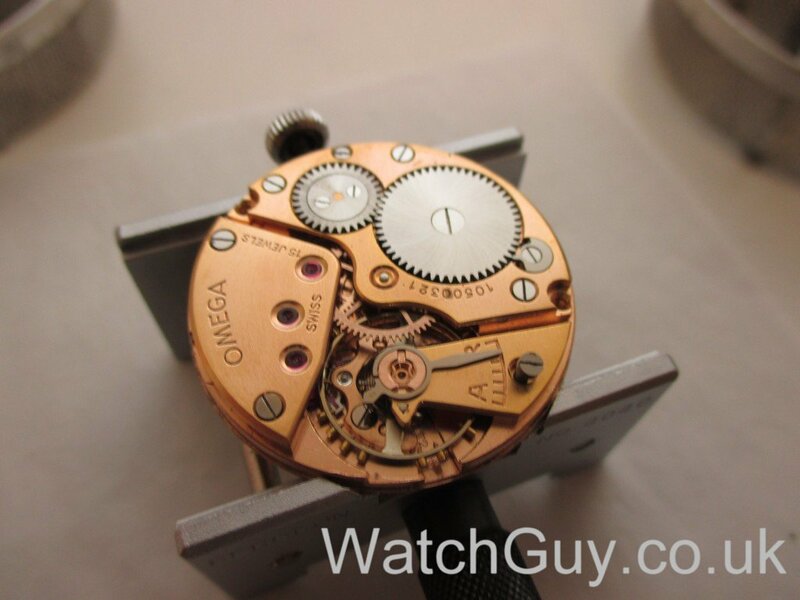 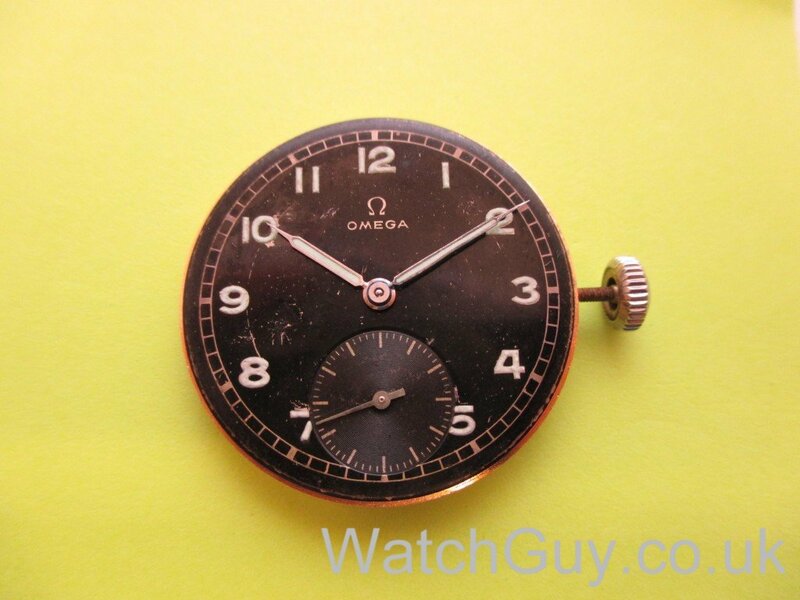 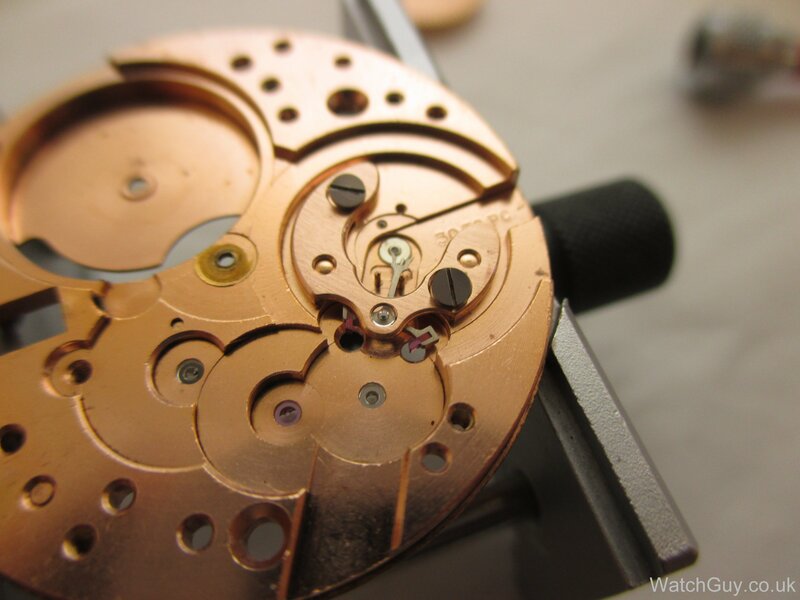 This unusual Omega was made by Omega in Switzerland and sold to the Swedish government that would in turn sell the watches on to the Swedish public. This scheme was to boost the Swedish economy during and right after ww2. 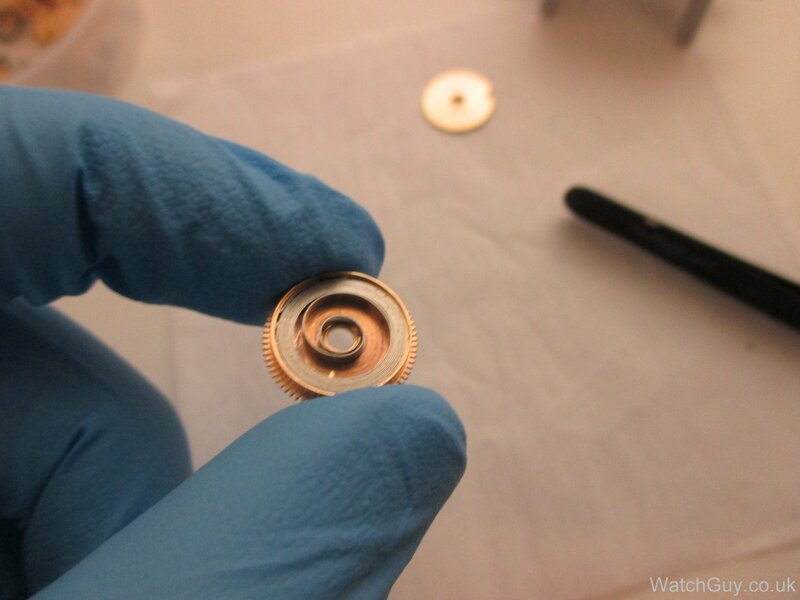 Man, great job. 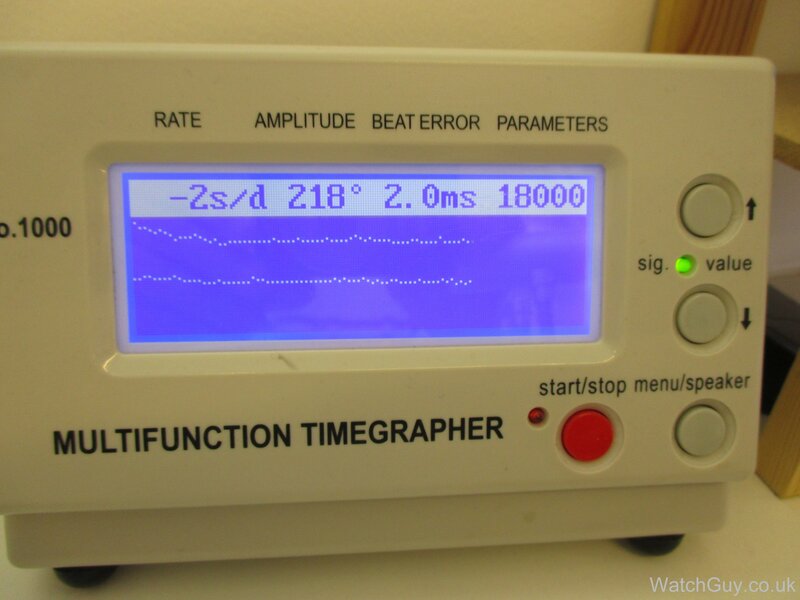 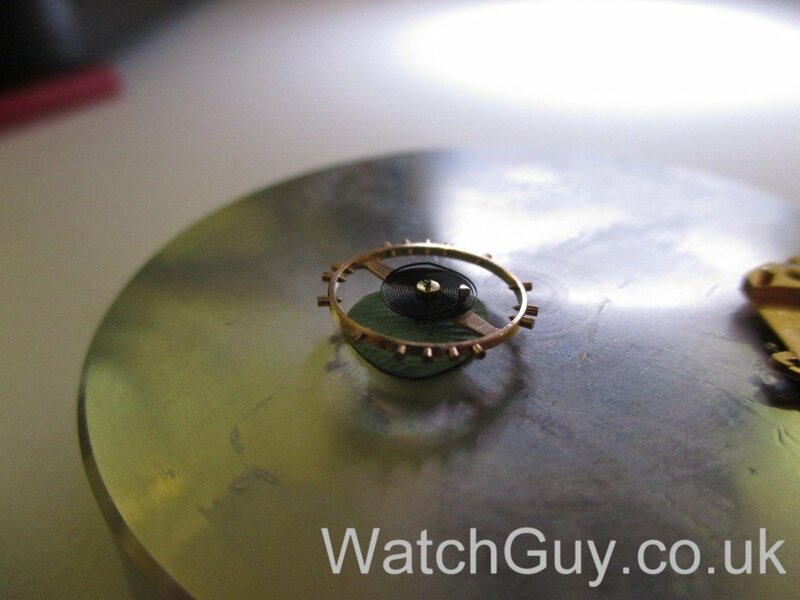 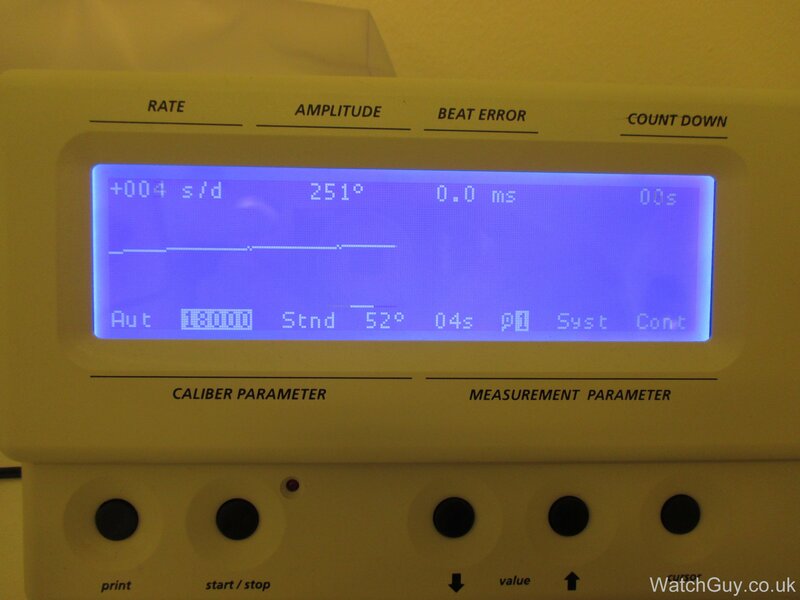 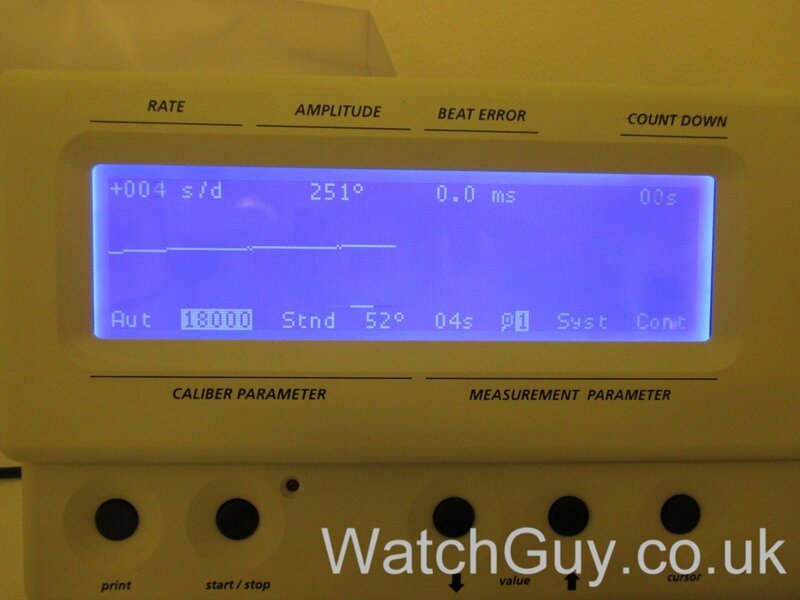 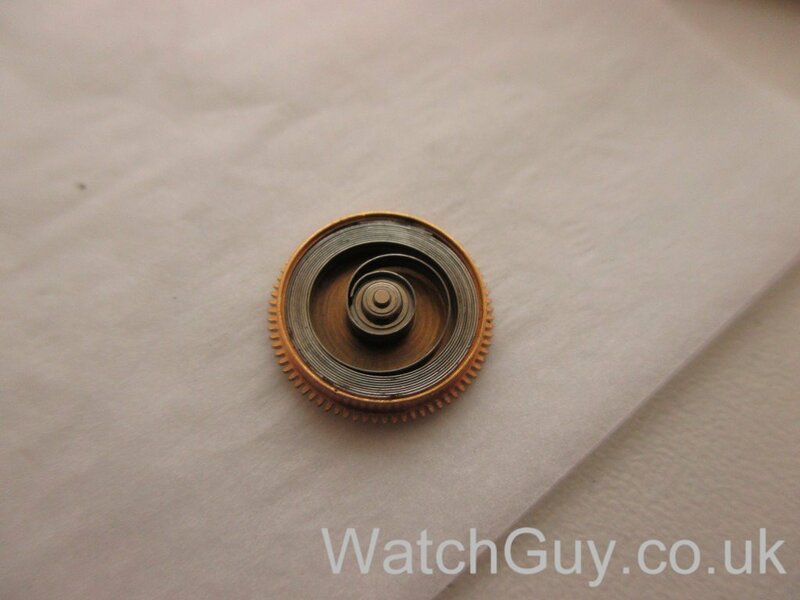 The dial turned out perfectly, all things considered. I’ve seen clear coloured pallet staff jewels for the earlier 30mm calibres, but haven’t seen clear plate jewels before. Interesting. 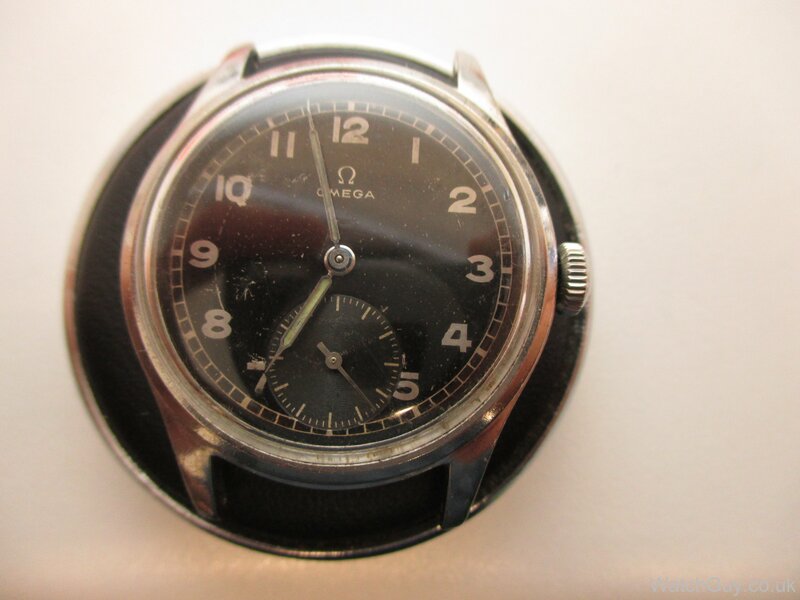 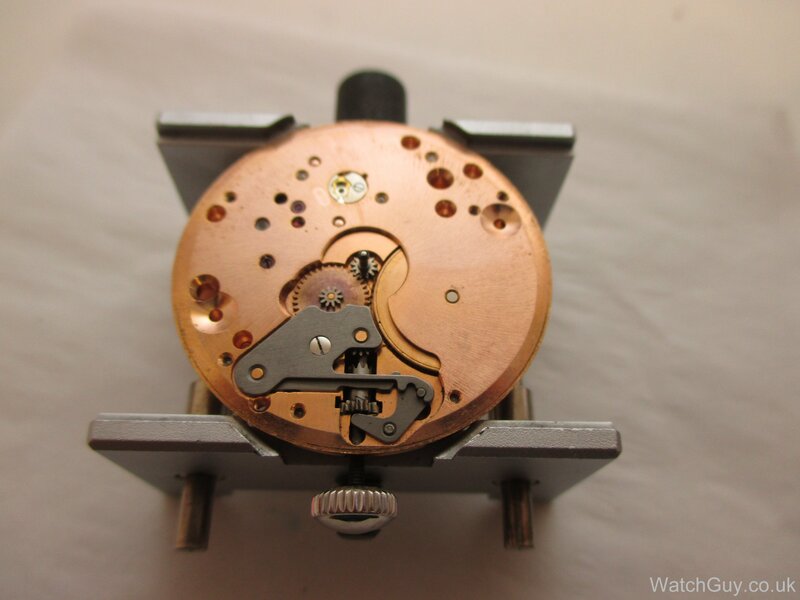 Just out of interest on a black dial watch like this one could’nt you removed those white specks(very carefully) with a black perminent marker pen or would this affect the original black paint? 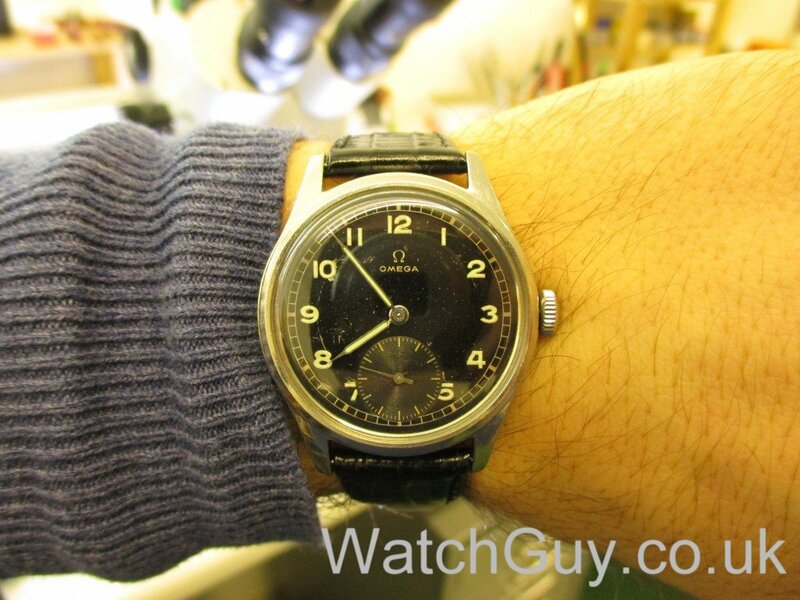 I bet the owner will be Eterna”ley” grateful for the work you’ve done on his watch!! 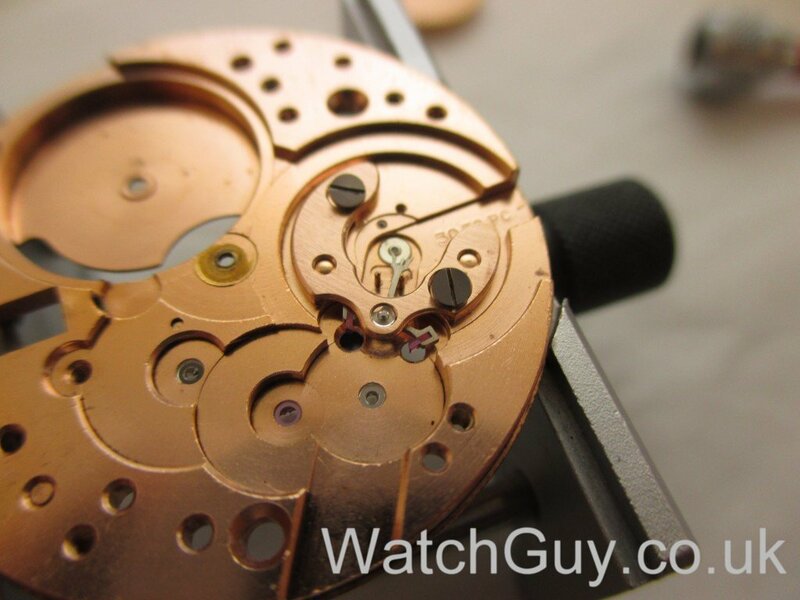 Excellent work on the dial and hands, Mitka!